Not surprisingly, Polish concert audiences after years of musical drought continue to yearn for and hugely anticipate performances by great international orchestras and conductors. Such visits to the country are still not common although increasing as time passes and Poland slowly takes its place once more in the European musical firmament. 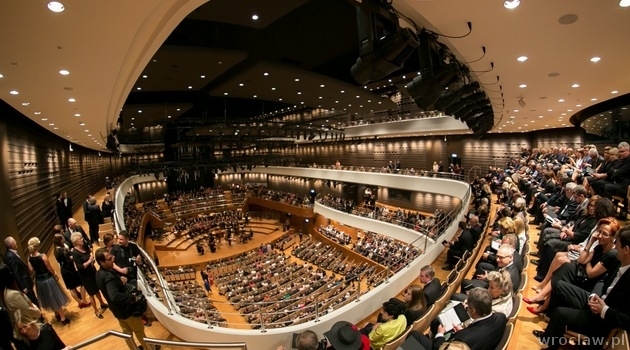 Understandably then, the acoustically magnificent and architecturally striking NFM (Narodowy Forum Muzyki) in Wrocław was sold out for the London Symphony Orchestra conducted by their new musical director Sir Simon Rattle. 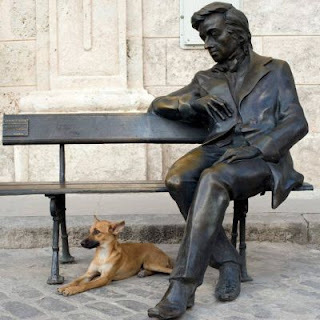 The programme was an imaginative pairing of works by Béla Bartók and Anton Bruckner. 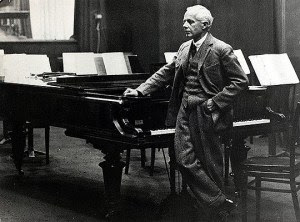 The commissioning of the Music for Strings, Percussion and Celesta by Bartók reflects a change in society. No longer the nobility and aristocracy enabling the composition of a great musical work. On this occasion corporate wealth was the facilitator. In 1934, the Swiss conductor Paul Sacher married Maja Stehlin. She was a widow who had inherited the immense fortune of the pharmaceutical giant Roche. Sacher was able to indulge his musical passions and spent lavishly on his obsessive interest in new music. Some time before, in 1926, Sacher had founded the Basle Chamber Orchestra, an ensemble that performed new compositions and almost forgotten music from the pre-classical period. 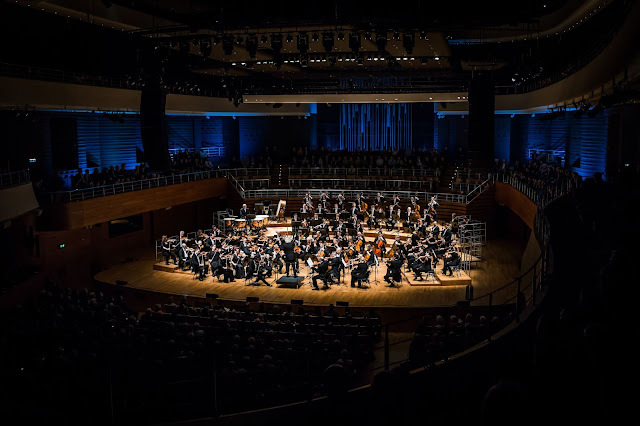 In order to adequately commemorate the 10th anniversary of the orchestra, Sacher commissioned a new work from the then revolutionary contemporary composer Béla Bartók. The result was a masterpiece, rather simply and unimaginatively entitled Music for Strings, Percussion and Celesta. The work is divided into four movements. By some shocking coincidence it was a day of mourning over a terrible tragedy in Poland that had occurred two days before - this land of valiant resistance to oppression, a country still haltingly embracing democratic freedoms. The powerful liberal voice of the much loved Mayor of Gdańsk, Paweł Adamowicz (20 years in office), was silenced with his barbaric assassination, stabbed at an annual charity event by a 'madman'. The event was dedicated, now it seems with the grimmest of ironies, to saving the lives of innocent children. After a minute's silence in darkness, the fugue of the first movement Andante tranquillo began to unfold. The sombre mood evoked seemed almost metaphysically appropriate to the circumstances of this national tragedy. The LSO under Sir Simon Rattle eloquently brought out the melancholic, restless moaning and lamentation of the fugal theme and the rise in tension as the melody progressed to its climax only to fall back in retrograde motion to the piano beginning. The orchestration of this work is unique as is the placement of the instruments. 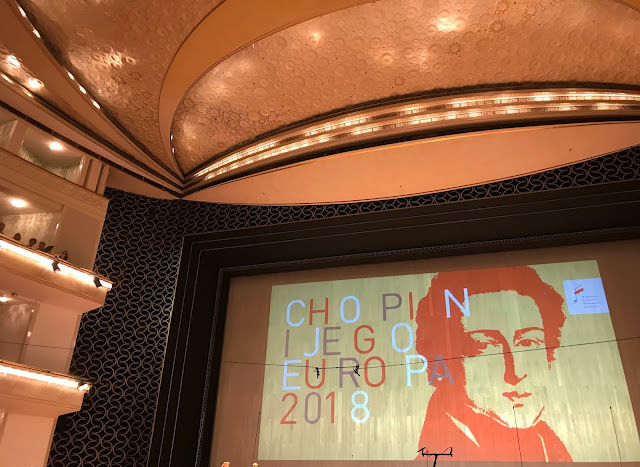 The second movement Allegro was a passionate and agitated account of rural Hungarian violin music with fine percussive playing from the pianist. One cannot help but feel that the intense emotional agitation of the musical idea here (pizzicato strings, frighteningly violent tympani strokes, turbulent piano passages) is a presage of the devastating war that was just over the horizon. 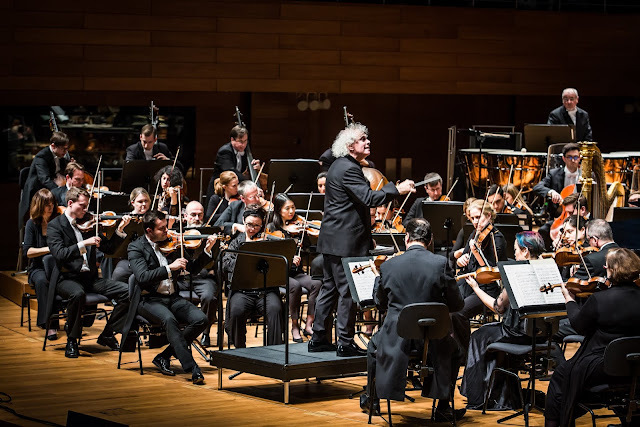 Rattle accomplished this spiritual unease with atmospheric rhythmic contortions. The remarkable and psychically disturbing third movement begins with a notoriously famous xylophone solo. One note, becoming faster and faster before slowing. It was here I truly noticed the alluring transparency of this orchestra and the crystal clarity of the percussion. In some interpretations (Fritz Reiner and the Chicago Symphony) a definite Japanese Kabuki theatre or even Buddhist temple feel is given to this movement by the percussion which was not so obvious with the LSO. Fragments of the fugue appear disconcertingly as the movement progresses punctuated by the xylophone and watercolor washes of sound from the harp, piano and celeste. In possibly fanciful hindsight one cannot help feeling once again the tragic premonition of a conflagration. The refined lightness of the LSO strings gave a gossamer halo around the penumbra of sound. In the finale Rattle brought his intense feeling for rhythm to dispel these dark clouds and introspection to embrace the living breath in Hungarian peasant dances in sunlit village fields. We hear zithers, cimbaloms and fiddles. Humorously Bartók quotes a wrong-note parody of the nonsense song Charlie Chaplin sings in Modern Times. 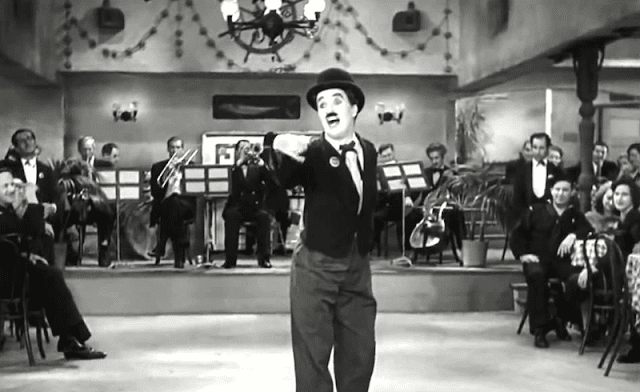 The film had been released shortly before he began the composition. The dense orchestral writing continues to grow until the energetic dance rhythms resume and a return of the theme and triumphant close. Rattle and the LSO accomplished this arc of rhythmic and orchestral complexity with great panache and élan. Be that as it may, connoisseurs of his music all agree on the greatness of this 6th symphony. It is full of dynamism, rhythmic invention and refinement as well as utilizing an alluring range of orchestral colours. Sir Simon Rattle and the LSO brought an unaccustomed lightness and elegance (dare I say) to the string sound in comparison to the deeper mahogany timbre of German orchestras when they approach Bruckner in a vein if deepest seriousness. I found the opening Majestoso movement (note not termed Maestoso) both dramatic and immensely dynamic. The movement is crammed with unexpected harmonic modulations and 'military' associations bordering on film music. 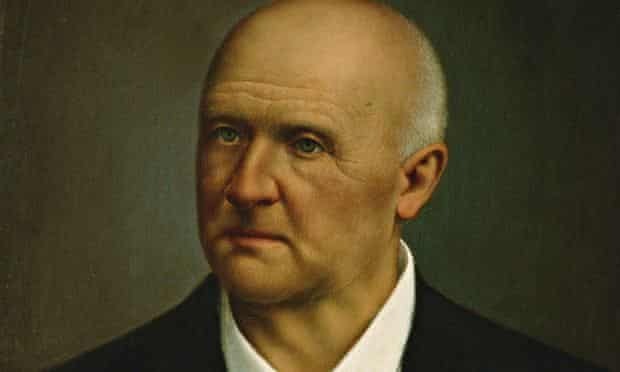 The way Bruckner controls the dynamic expansion to forte-fortissimo with powerful tympani creates and atmosphere of monumental musical theatre. The Adagio: Sehr feierlich second movement is the one of Bruckner’s most heart-breaking slow movements. The transformation of the yearning opening lament of the oboe brings one close to tears. The slow tempo adopted in this movement by Sergiu Celibidache in the 1991 recording he made with the Münchner Philharmoniker is so profoundly moving and to my mind, replete with an expression of unrequited love or a death lament. I felt Sir Simon did not explore the depths of this supplicant movement to anything like the same degree. This was not true of his approach to the unusually slow Scherzo: Nicht schnell — Trio: Langsam to which he imparted strong rhythmic 'military' brass then lyric string energy yet with a deep, disturbing constant toiling of basses and cellos rumbling quite physically through our diaphragms. There are such contrasts of orchestral textures and layers of harmony in this movement! The Finale: Bewegt, doch nicht zu schnell is a triumphal close to the symphony but one that leaves a strangely ambiguous atmosphere despite so many of the symphonic threads being brought together in the massive declamatory coda. The LSO under Rattle, with the lighter string timbre and more lyrical approach to this symphony, brought it to an emotionally satisfying rather than Brucknerian monumental conclusion of hewn granite. As an encore the LSO and Sir Simon gave us some of the most joyful, enthusiastic, energetic and infectiously rhythmic account of Gorale Dances by Moniuszko I have ever heard, even including dare I say, Polish orchestras and conductors. 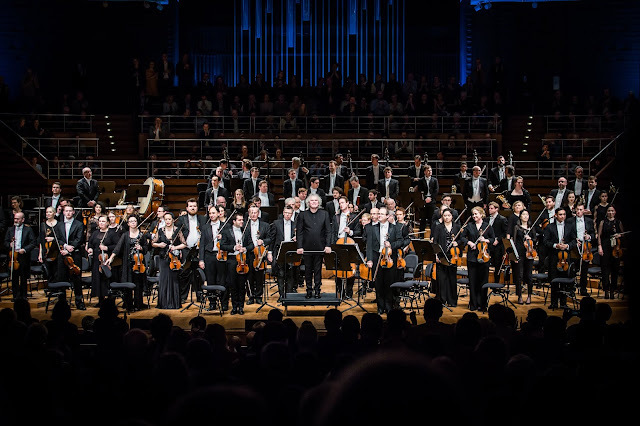 In this 200th anniversary year of the birth of Stanisław Moniuszko, his vibrant and vital account full of rustic verve brought the entire audience cheering to their feet at the conclusion. What a joyful conclusion to a day that began in such an heavy atmosphere of national tragedy and horror. Was the magic of music acting as a variety of emotional resuscitation and spiritual regeneration?